A key issue in the race for California insurance commissioner between former commissioner Steve Poinzer and democratic senator Richard Lara is widlfire, reported Ezra David Romero on Capital Public Radio. The new commissioner will have to deal with a complicated insurance system and a warming climate that's increasing the number, size and impact of California wildfires, said Susie Kocher, UC Cooperative Extension forestry and natural resources advisor. For many Californians, the possibility of losing their insurance due to wildfire risk is a real threat. "I recently talked to a homeowner who had his insurance canceled about three months before his house was destroyed by a wildfire,” Kocher said. 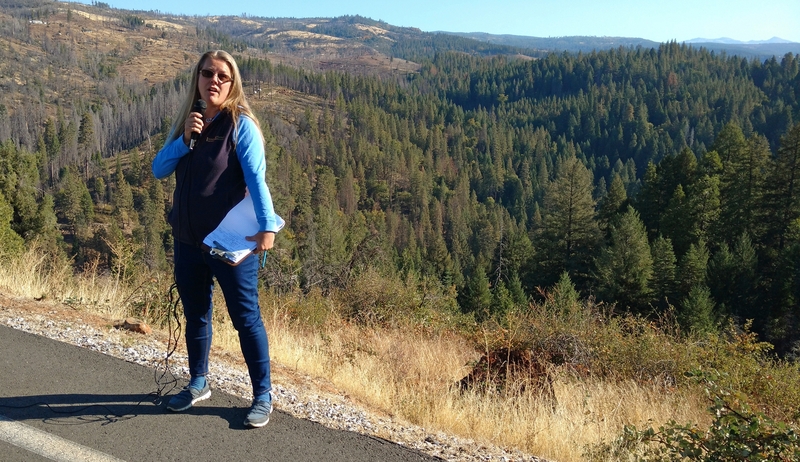 The possibility of losing insurance due to wildfire risk is a real threat, said UCCE advisor Susie Kocher. Lara says people or companies that start fires need to be held liable and not given a free pass, and that homeowners need better protection. He says in the past some insurance companies have dropped homeowners because of the risk from wildfires. Poinzer, a tech industry entrepreneur and career-long Republican, is on the ballot as an independent. “There's no room in this job for a partisan politician,” Poizner told the Los Angeles Times.